Thank you to all of our members who participated in California Water Professionals Appreciation Week! We appreciate those of you who shared your agency’s activities during the week and promoted the activities of other member agencies. Below are two member profiles we featured to highlight the important role water professionals play in our communities. I sort of just fell into it. 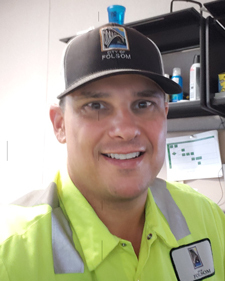 I worked as a Correctional Officer with the City for five years and when that facility closed, they offered some officers a job in various roles within the City of Folsom. I spent most of that time on the maintenance side which is responsible for all sewer repairs. 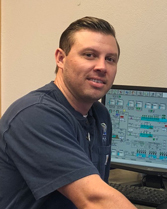 Responsibilities: My responsibilities are to ensure that Folsom’s 50 MGD water treatment plant stay in regulatory compliance. One day you may be in the office researching something technical such as control systems, solving a water hydraulics issue or perhaps a special project for process optimization. The next day you may be helping the mechanical department change out a large pump or install new equipment. So, the versatility of an operator’s skill set is challenged constantly. Since it is impossible to learn everything in this career, you will never be bored. CASA has several exciting events planned for 2019. 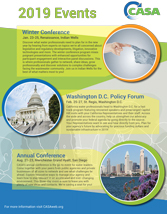 Be sure to download the 2019 event schedule and save the dates! Please check the CASA website regularly for additional details and registration links.